"This is a simple and delicious recipe for a cool and creamy orange drink." 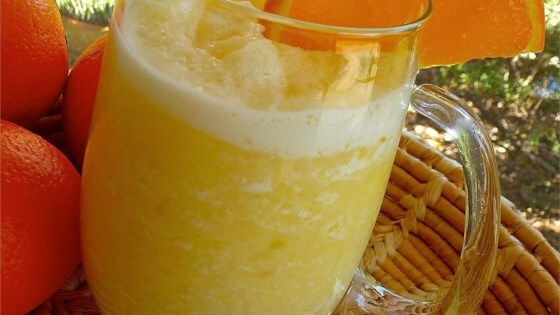 Combine the orange juice, milk, sugar, and ice cubes in a blender; blend until smooth. This was okay. Good in a fix when you want something sweet and a quick breakfast while you're tending to your family. I used low-fat milk and a packet of Equal.